I have a whole week of photo prompts for you today! 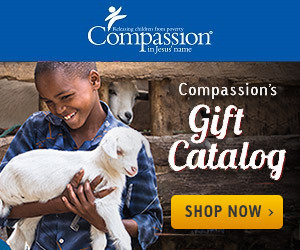 Day 124 – A Wide Angle: My whole family was able to volunteer for a shift at the Compassion Mobile Experience when they were in our area recently. I knew this was the shot I wanted to take to go along with this prompt. Have you had a chance to visit the experience yet? Day 125 – Relaxation: that is exactly what I did after making 2 batches of strawberry jam! Day 126 – Crayons: Crayons in our home are not used very much any more, but it is amazing to me how many we have! Every now and then we bring them out when we are watching little people, or when we are doing a fun project for our Compassion kids. 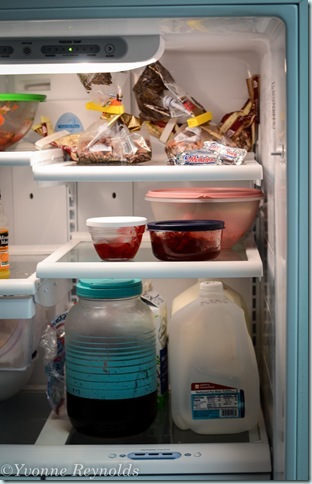 Day 127 – Candy: Can you see my favorite candy there on the top right shelf? Day 128 – Snacks: Interestingly enough, I don’t really eat a lot of snacks when I am home during the day, so I decided to take a photo of the homemade macaroni and cheese we had for lunch on this day. Yum! Day 129 – Animals: This is Kelsey’s bunny, Vinnie. She used to show rabbits while in 4-H years ago, but now she just has two pet rabbits. I can’t believe I didn’t get the very tops of his ears in the picture! Day 130 – Framed: I believe it was back on day 68 that I did a photo similar to this one, with just me. This time I decided to have Kelsey join me. So this wraps up a full week of Capture Your 365 photo prompts for me! Have you started joining in on the fun? Please let me know in the comments so I can visit your post of photos.